Membee’s New Member widget now has a responsive design, meaning that all your new members can easily sign up from their smartphone, tablet or desktop. Having a responsive design is becoming increasingly more vital to the search success of a webpage. Responsive design means that your website and all of its features work on your pc, tablet and mobile device by adjusting the content to fit the screen that it is being viewed in. 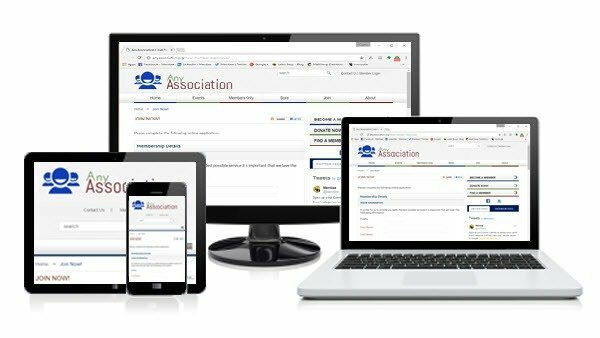 With the Membee’s New Member widget now being responsive, and your website now too, any visitor that is accessing your New Member sign-up page can use their PC, tablet or smartphone to do so. This makes it substantially easier for visitors of your site to become full blown members! In short, Membee’s New Member widget now simply adjusts to the size of the screen the visitor is using. The great thing about responsive design is that you maintain everything in one spot – you don’t need to develop or maintain a mobile site or app. Having a single website that works everywhere offers significant savings over creating multiple native mobile apps and provides your visitor with a great experience. Your organization's search engine optimization (SEO) can be effected negatively if your webpage does not have a responsive design. Google would much rather support sites with a singular domain rather than having multiples, such as having a regular site and a separate mobile site. Mobile-responsive sites are easier for Google. It simply reduces the chances of errors with setups that are common with mobile sites. If your members are opening a link you sent them, or simply trying to reach your website from their mobile devices they may encounter a high bounce rate. Websites not translating well on other devices is a reason for 61% of your members to become frustrated and leave. 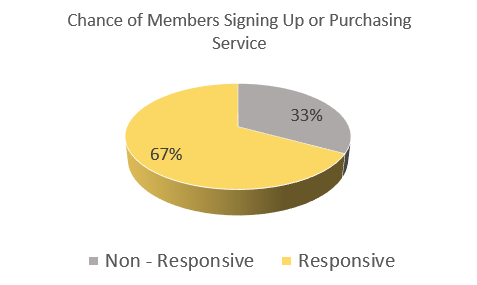 On top of that, members that have a positive experience on an optimized mobile website, will have a 67% increased chance of converting or using its service, shown in the chart above. The responsive design for the New Member widget will be available at the very beginning of the new year. We will be sure to update you when everything is ready to go! Membee’s Directory and Event’s widget are already responsive! Click the link below to learn more!